Kate Goldsworthy is a designer and academic working to bridge science, industry and design through multidisciplinary & practice-led research. 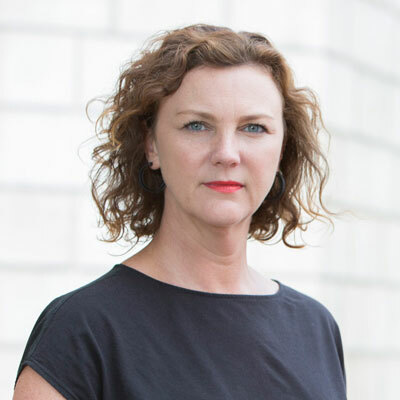 She is co-founder of the Centre for Circular Design at UAL, a member of the EPSRC EC Forum in Manufacturing Research and joined the Worn Again team in 2011. She began her research career in 2005 with Textiles Environment Design (TED), and the Textile Futures research Centre (TFRC) at the University of the Arts London. In 2012 she completed the first UK practice-based doctorate focused on ‘designing for the circular economy’ and continues to explore future manufacturing and recovery contexts towards effective circular systems. In her current research projects (Trash 2 Cash and Mistra Future Fashion) she is focussed on collaboration with stakeholders from all parts of the textile supply chain in order to promote and develop best practice towards circular systems for textiles. She is also interested in the potential for digitisation and new production models to provide more sustainable future solutions. Nonwovens production, hi-tech finishing processes and chemical recycling developments are all part of this remit. Her design work has been exhibited internationally and she was recently named by the Guardian as one of the UK’s top ten circular economy experts.